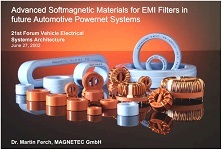 The second part of the performance evaluation series of ferrite cores is released. You can find the video here. The content is for Gold Members only. I have added a new content the so called Urantia book. The Urantia Book is a spiritual and philosophical book that originated in Chicago sometime between 1924 and 1955. It details the existing of the Universe, God and Jesus. it is available to all members under research and books. Hello, I am happy to announce the release of a new movie in the Space conditioning series. Title: Capture Vortices Fields in a Capacitor You find the movie under the menu “Movie” and on the page “Space Conditioning” at the bottom. The content is visible for Gold Members only.